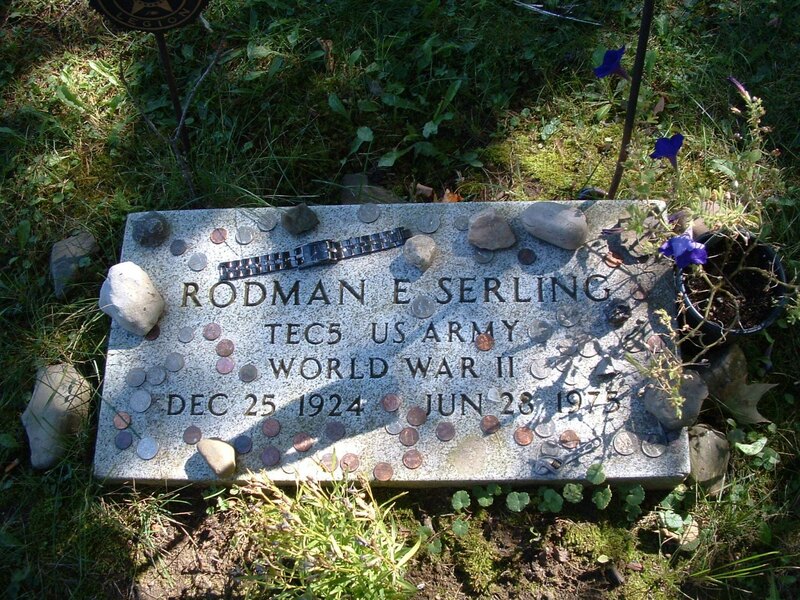 ...can be found at Lake View Cemetery in Interlaken, a small village in upstate New York (lot G, Plot 1044). Serling died on June 28, 1975, at the age of 50. 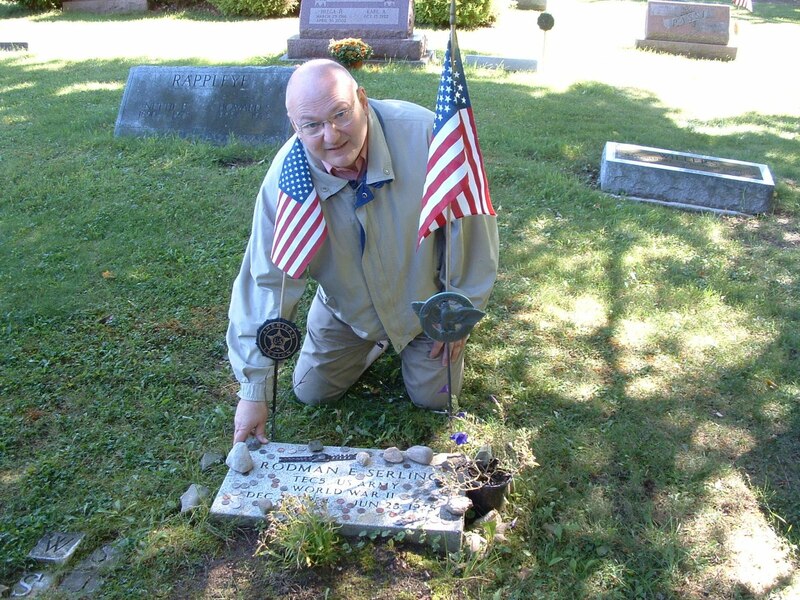 This past Saturday, my good friend (and fellow Twilight Zone fanatic) Bill Huelbig had the opportunity to visit his grave. It goes without saying that Serling is an idol of mine, so... well, jealousy abounds. "On Saturday we were scheduled to stay overnight at Days Inn, Tonawanda NY. When we got there late that evening, it turns out they'd somehow given our rooms away. Expedia relocated us to an even better hotel a few miles away, Homewood * Suites by Hilton. Did Mr. Serling have anything to do with this?" Bill at Serling's grave. I'd be kneeling too! I'm a bit dismayed at the plaintive, rather small marker. Seems like Carol Serling (Rod's widow) could've shelled out for something a bit bigger.... you know, grander. He certainly deserved it. * Homewood, New York is Gig Young's fictional home town in "Walking Distance."